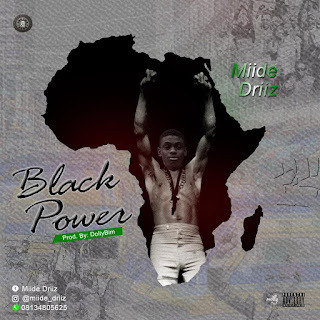 Sensational rapper Miide Driiz comes through with his most anticipated track, the rapper kicks off this year 2019 with an amazing Afro beat song tittled black power. Miide driiz who get attention of everyone on social media with is blown track tittle NA YOU which he featured Stevoo Skitiyati, explains BLACK POWER as a song dedicated to our late legend fela anikulapo KUTI. Download and get ready to do some Afro dance step.